Skechers bring us 23103/417 EMPRESS. 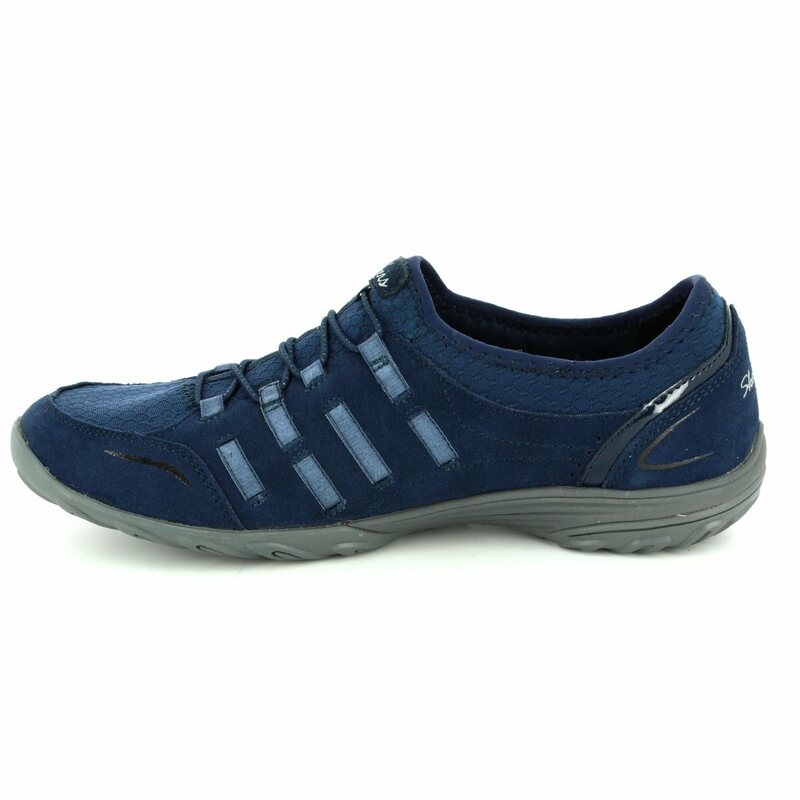 These ladies navy slip on trainers feature a suede and reinforced mesh upper for a light and cool feeling. 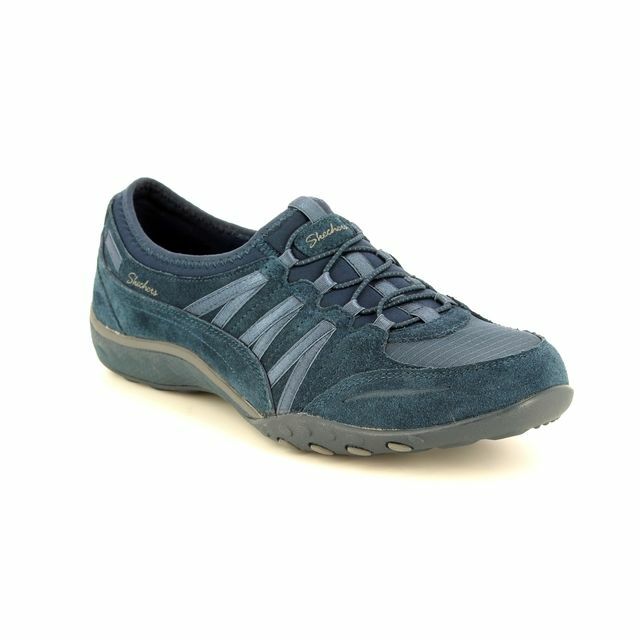 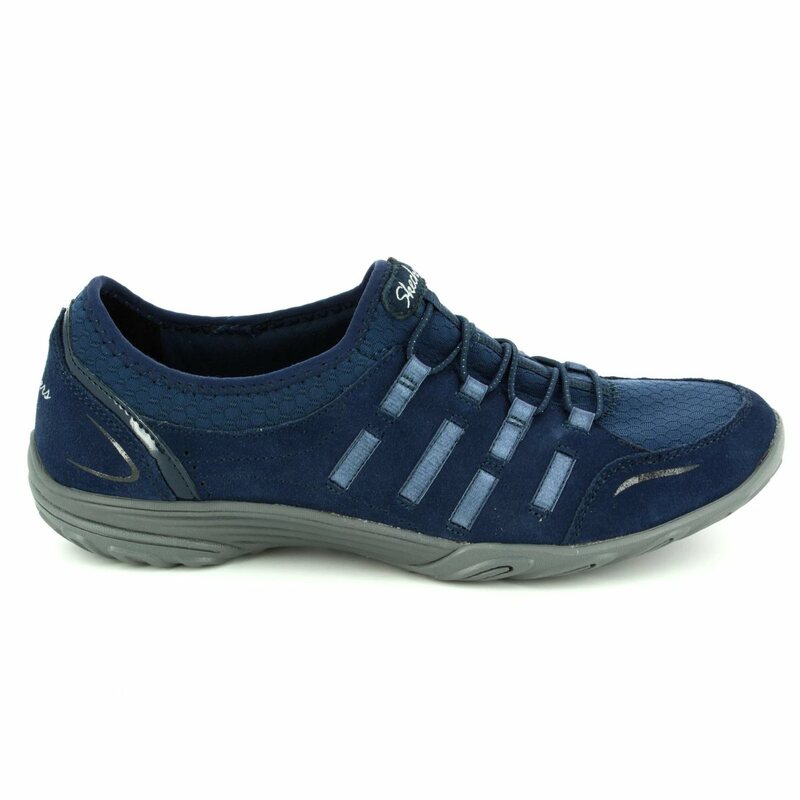 The use of bungee lacing on the front paired with the stretchy instep panel ensures these ladies shoes are easy to use. 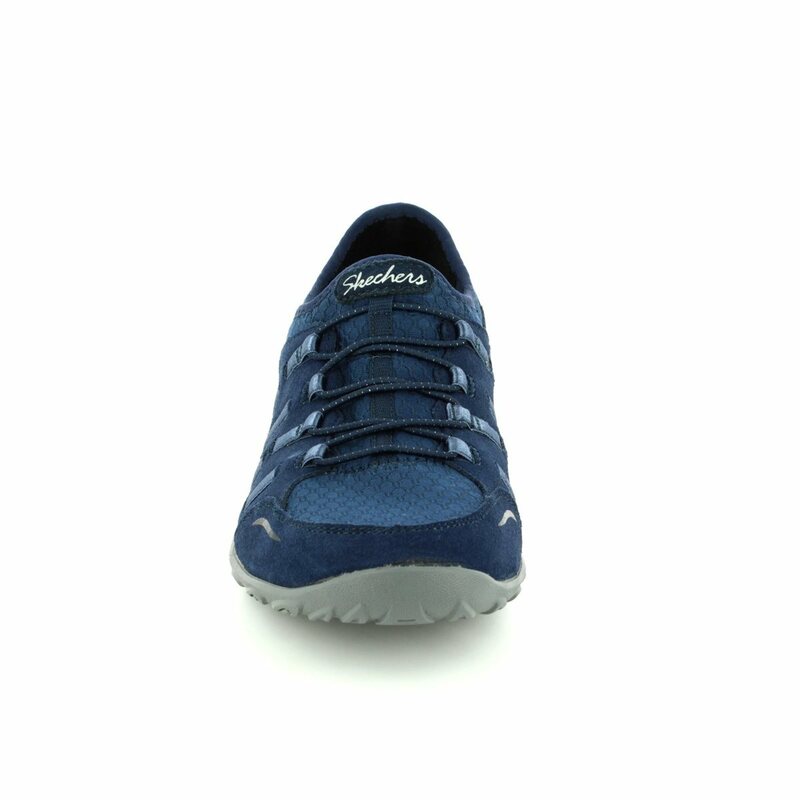 Skechers have paired their 'Air Cooled' memory foam insole with a shock absorbant midsole for the ultimate in comfort while the rubber outsole provides flexibility and grip. 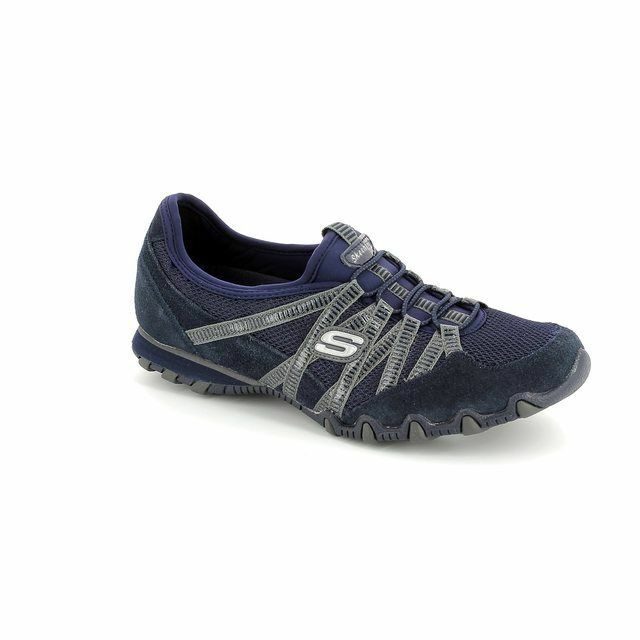 Perfect with jeans or shorts, these Skechers slipons are the ideal addition to your footwear wardrobe and are also available in black. 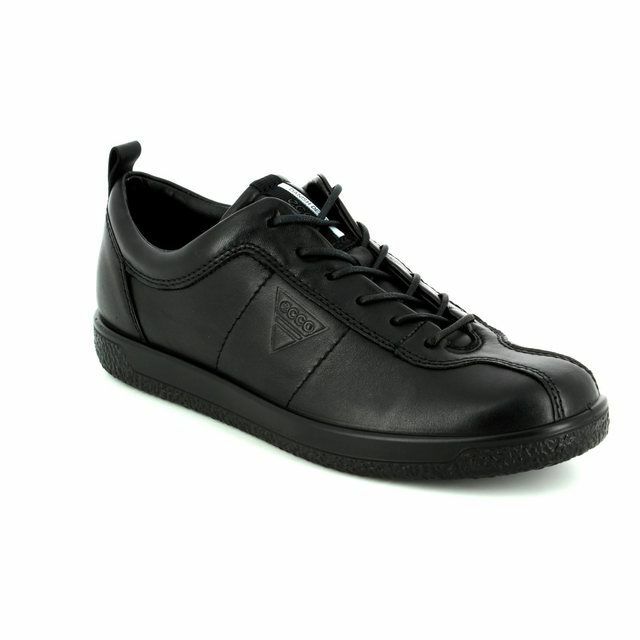 Buy your Skeckers ladies trainers from Begg Shoes and Bags.